Self-injecting vitamin B12 can become a necessity if you have serious anemia. While you could visit the doctor every day for a shot, it's simply cheaper and more practical to learn how to do it yourself. 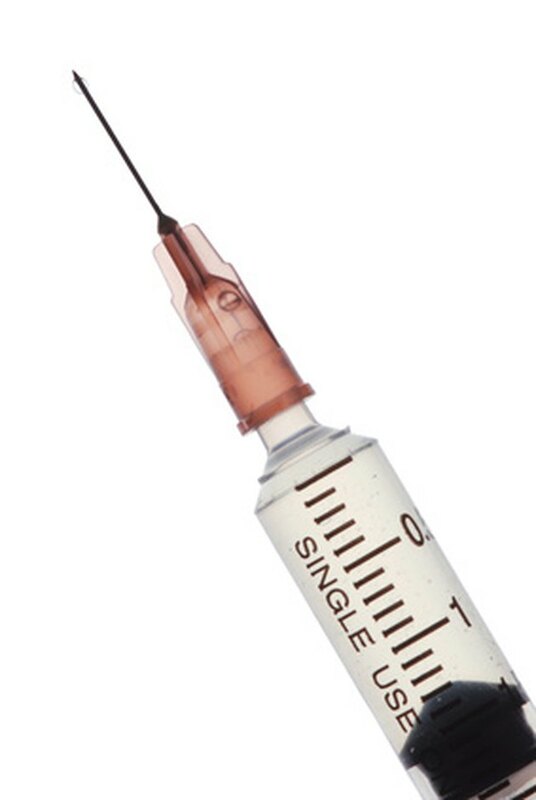 If you've never given yourself an injection, have a doctor or nurse show you how to do it right the first time. Once you've learned, you can buy and store supplies in your own home. Store the vials in a cool room. Don't store them inside a kitchen cabinet or the refrigerator. According to the medical site Drug3K, B12 injections should be stored at a stable temperature of between 59 and 86 degrees Fahrenheit. The bathroom might not be a good idea either, as the humidity caused by the shower might increase the room temperature significantly. Keep the vials away from light. If the glass containers are clear, put them inside a paper bag or a drawer. You can also get a small box or plastic cup and cover it with a lid. Store the vitamin in a place where it can't be reached by children or pets. Side effects of ingesting B12 can include diarrhea, swelling of the throat and lips and difficulty breathing, according to eMedTV. Talk to your pharmacist about the proper disposal of used needles and vials. You can store them in a plastic container with a lid until you find a way to dispose of them safely. Discard each vial when it reaches its expiration date.